Don't let the age of this home fool you. This immaculate second home has been meticulously maintained and shows like new! Huge screened porch, two outside showers & dressing area, 1/2 bath and den area on the ground floor which could easily become a 4th bedroom and septic already in place. The kitchen is huge with like new appliances, island with raised bar seating and a rare walk in pantry featuring shelves and built in drawers for all your storage needs. The master suite is a nice size and is located on the rear of the home offering privacy with ensuite with dual sinks and shower. The open concept living room, dining room, and front entry all offer beautiful "real" hardwood flooring. The additional bedrooms and second bath are located on the front of the home. You will enjoy spending time on the huge sun deck during the day and relaxing on the covered front porch in the evenings. The front and rear yards are beautifully landscaped and sit among live oak trees. 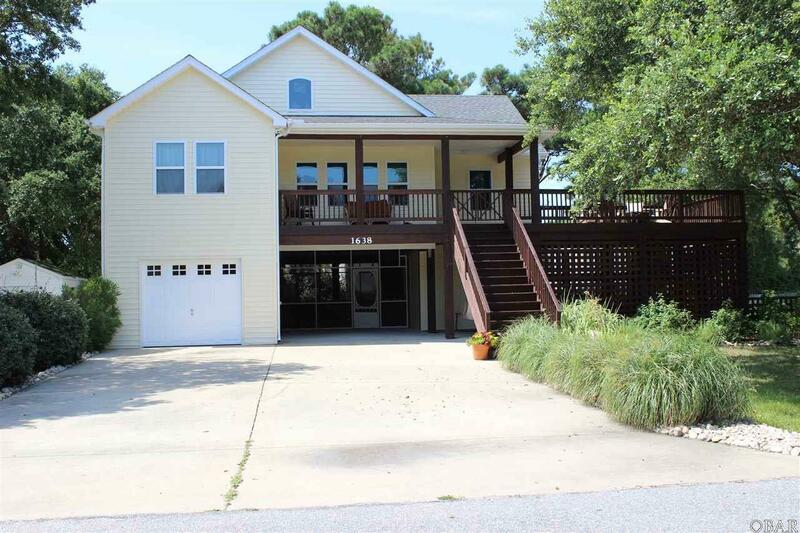 All this and close to the new Publix, Lowes, KDH tennis court and baseball field and easy ocean access make this home a winner! Selles are offering a 1 year American Home Shield Warranty (ShieldPlus) which covers all appliances, hvac, ductwork, electrical, hot water heater, appliances and more.